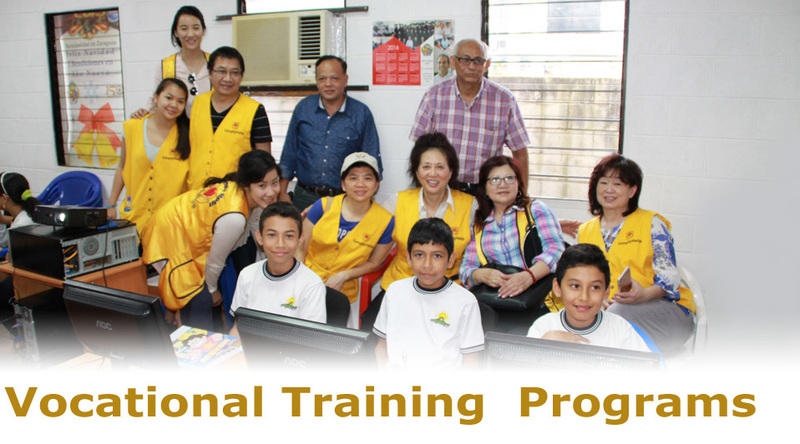 SimplyHelp supports vocational education programs in the countries of Cambodia, El Salvador, Nicaragua and Panama. Education is a key factor in ending the cycle of poverty. Through our education programs, students gain access to jobs that offer sustainable income and a continuing vocational track. Young people, seniors and single mothers are amongst the beneficiaries of our programs and often, for the first time, gain a sense of hope for the future and an end to what once seemed like inescapable poverty. We have 26 beautician schools, sewing schools and computer schools. The computer program is most productive when we set up classes in the rural areas. Young people who have often never even seen a computer end up becoming web masters, or compete in short film competitions with students around the world. Our programs seek to target the specific needs of the communities in which they serve. For those living in the poorest regions on earth, the introduction of vocational education offers real hope to rise above crippling poverty. Please consider supporting our vocational education programs; they bring so much good to their communities. All donations to our vocational education programs go 100% toward buying the equipment, with none going toward administration fees.